Have you ever been in the situation where you are sitting with your pen in your hand, but you simply have no idea what to write? It isn’t because you don’t have any ideas, but you don’t think you have any good ideas. You are editing and critiquing your thoughts as they come to you, and they get squelched before they can even be explored. Sometimes this is because we judge what others will think of them. Sometimes we know what “good” writing is, and we know these aren’t “good” ideas. However, what we forget is that they may not be “good” ideas yet. They may be amazing if they had a chance to live and grow, rather than be evaluated as good or bad in their nascent stage. That editor in our minds is really valuable…later. Often our reluctant and disengaged writers have a hyperactive editor that doesn’t know when to hush up! But we can try teaching some strategies that set students up to practice silencing their editor, and help them realize the ideas they have may be great if given a chance. Over the past several years, I have been using and studying the use of improv in the classroom to support literacy instruction, content learning, and social and emotional development. Practicing improv requires one to trust their instincts and say yes to their ideas before editing them. Keith Johnstone is a highly respected improv teacher and among the founders of improvisational theater. In his book, Impro for Storytellers, he offers two coaching moves to support and encourage silencing the editor. The first idea Johnstone offers, which we might imagine as a strategy to teach writers in our classroom, is the power of split-attention. If we can distract the mind with an activity, we don’t have as much mental energy to be so critical. It’s like rubbing the belly and patting the head while telling a story. We just don’t have enough capacity left to also engage our editor. Of course, some people, like me, have inner critics with super-human strength, but split-attention helps! In my previous blog entry on borrowing the 4 “rules” of improv to transform your classroom, Zip, Zap, Zop was referenced to demonstrate the giving and receiving of offers. However, it is also a great demonstration of split-attention. When participants are focused on keeping the game going in tempo they are engaging what is often called “System 1” thinking which is rapid, unconscious, and therefore involuntary when finding an idea, rather than the “System 2” thinking which is explicit conscious and evaluative. Another split-attention activity to prime free flowing thought is a game called Blabbermouth. The object of the game is to talk about something for a minute without saying any filler words (um, like, eh, etc.) or taking an unnatural pause. This activity has the added benefit of supporting Speaking Standards in CCSS, especially S&L #4 and #6, where students are to be able to present information appropriate to the task and adapt speech to a variety of contexts. Students are given the topic and then should start speaking immediately without any time to plan or think. The goal is to get to 60 seconds or to beat the best time so far. You might consider teaching the game with one or two students in the whole class, and then give the rest of the group opportunities to try with their tables or in partnerships. This strategy could be used to help build relationships in new partnerships, to prime thinking before an on-demand assessment, or to explore topics in the collecting stage of All-About Books. The second idea Johnstone offers, which we might imagine as a strategy to teach writers in our classroom, is his coaching to “Be Obvious!” It struck me because in a number of studies in creativity theory (e.g. Starko, 2010), the instruction to try to come up with original ideas, creates more original ideas. However, that may be truest when people don’t already feel a pressure to be original, and less true when they know they will be evaluated on the perceived quality of the product rather than on the diversity or number of ideas. When the student is trying to think of an idea, but is paralyzed, the most liberating thing one can hear is “Be Obvious.” It tells a student to go ahead and say what is coming to mind; it tells a student that you trust that their ideas are worth hearing. Furthermore, often times your obvious is not my obvious. Johnstone explains, “Be obvious means being your own person, not somebody else’s,” which is why it doesn’t lead to cliché. Cliché is the collective’s obvious. The more we really free our obvious, the less cliché it will be. When we dive in, open our mouths, or make a gesture or any action, our brains are so preprogrammed to explain the actions that we start making something up. If we can trust our imagination by being our version of obvious, our crazy individual minds will create something original. One way we can help students practice being obvious is to simply wait when a student is slow to offer an idea. Sometimes we are so ready to be helpful, we accidently offer an idea when a student may have an idea but is in the grips of the critical editor. If we could instead say to them “Be obvious! Say the first thing that comes to your mind!” and keep waiting! If there is still nothing, we can try to encourage another way to express an idea. For instance, maybe we could ask for a gesture or a facial expression instead. Sometimes I even just ask them to make a sound — any sound. If we can say yes to the gesture, thought, sound, or expression for the student, the student may learn to begin to say yes to their own ideas. Once a student has offered anything, their brain will work hard to explain it, and they will have outsmarted that editor just a little bit! So go ahead and be obvious! Trust your own imagination to play with your writing and literacy instruction! I’ll be honest, for the first 3-4 years I taught the emergent storybook unit, I really didn’t get why or even what an emergent reader was. I dutifully taught the unit my colleagues had taught in the past and followed their advice. I think it served its purpose for my students, but I could do so much better. And I did. Once I took the time to do some professional reading around the topic, I really started to understand who my emergent readers were and, therefore, what I needed to teach them. I think the most important aspect of using emergent story books in the classroom is they help students do the hard thinking work of reading, even before they can read words conventionally. This applies to all students, but especially your earliest and developing readers. Using emergent storybooks teaches students to look closely and think hard as they “read” their books. Alternately, when I was an emergent reader, I learned to work hard to correctly read the words and then answer questions about it. The thinking part was never taught. I had to struggle to figure it out. Emergent storybook study also helps students with concepts of print, story structure, and vocabulary growth. Emergent reading and story books was an idea introduced in 1966 by New Zealand researcher Marie Clay. She used the term emergent literacy to describe the behaviors exhibited by young children when they use books and writing materials to imitate reading and writing, even though they can’t read or write conventionally. Many others, including Elizabeth Sulzby, continued expanding on this idea. Sulzby found that literacy development is nourished by social interactions with caring adults and exposure to literacy materials, such as children’s storybooks. She researched young children and developed an emergent storybook reading unit. Many teachers include an emergent storybook unit in their kindergarten yearly curricular calendar. All teachers, should consider using the ideas of emergent storybooks with individual students or small groups of students who could benefit from it. Here is my list of emergent story books, but use any picture book that has a strong, sequential story line, clear illustrations that reflect the text, is a story that children can relate to or easily understand, and loved by all. Readers read their emergent storybooks by looking closely at the character, naming the character and describing what the character is doing. Readers connect each page to the next by saying “and then…” as they turn the page. Readers think about what they know about the characters in star books and change their voice to sound like they think the character would sound. Readers understand star books by staying longer on each page and thinking about what the other characters might be doing. Readers read star books by looking at the pictures to remind them how a story goes and using the author’s words. Readers have ideas about the story and use words lik, “I think…” to express their thinking. 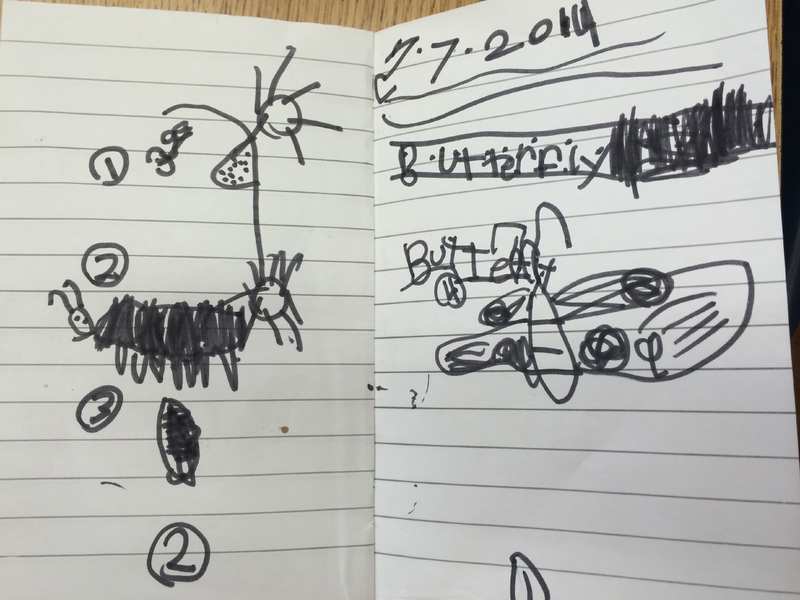 How do I know who needs an emergent storybook study? Pre-schoolers, Kindergarteners in October/November, any student still learning letters, their sounds, and how words work, and any student struggling to read at grade level. I can tell you this, but you’ll want to really consider your individual students. Administer a concepts of print assessment and a phonemic awareness assessment. 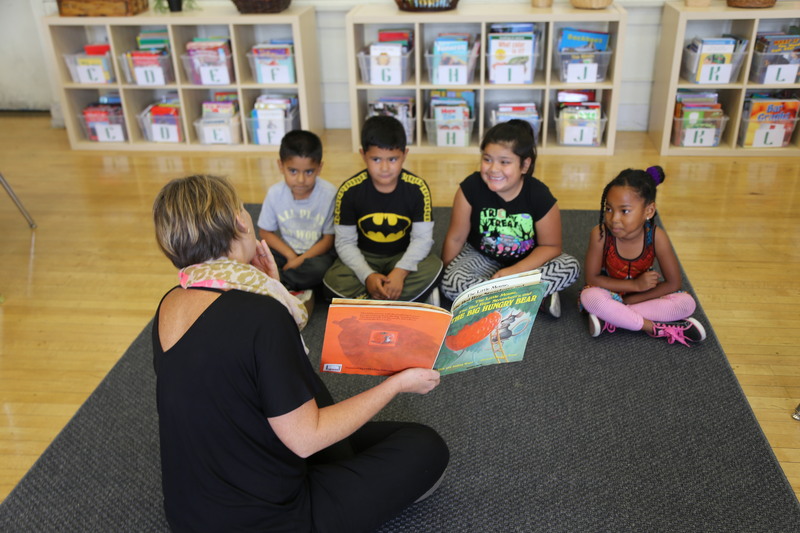 Emergent storybooks have benefits for all students. Use them, enjoy them, and help your students find the joy and privilege of reading. Reading is hard, but it doesn’t have to be if readers can start here and grow their thinking while their letter/sound knowledge is growing simultaneously. In my previous blog post, I discussed the important benefits of play in the lives of children and looked at the definition of play. An essential quality of play is that it is spontaneous. In this post, I look to improv principles and games to support classroom engagement, build community, and foster creativity. When people hear the word improv they often think “Whose Line Is It Anyway,” but really we improvise all day every day. Responsive teaching is improvisation. Even the more playful version of improvisation is something we have been doing our whole lives. When my niece tells me that I am a dog and she is the pet store owner, I have entered an improv. When I sit with students, and we think about what could happen next in a shared writing experience, we have all entered an improvisation. Even when we read and make a movie in our mind letting it morph as we understand more about the story, we are improvising. Although improv is something we do all day every day, let’s consider how we might use it strategically to support student learning by borrowing more formalized “rules” of improvisation. Improv in the classroom is a wonderful way of providing opportunities for students to learn through play. By playing, students move their bodies to promote engagement and support cognition, build community, self-awareness and self-confidence, and foster thinking skills like problem solving, reasoning, flexibility and creative thinking. One of the country’s oldest and most famous improv theaters, Second City, has an education program that did a study bringing their work into Chicago public schools. They found that teaching the rules and activities of improv increased the involvement of reluctant writers, strengthened classroom community allowing previously marginalized students and students with special needs to take on more positive roles, and increased overall engagement, which led to increased confidence in speaking and reading. And it was fun! To bring these benefits found in improv to your classroom, consider practicing the following “rules” of improv. An offer can be anything that is said or done in the improv setting. If I turn to you and say, “I love the sombrero that you are wearing!” you have been given the “gift” of pretending you are wearing a sombrero. Imagine if we had a classroom where every student understood it is their job to contribute and share offers of their own thinking. When we have time and space to playfully, creatively, and physically practice offering our ideas, we have more ideas! When we continuously have the experience of having our offers received, we gain confidence in our own unique ideas. We as humans enjoy a challenge and instinctually increase the level of difficulty when things get too easy. In the case of giving and receiving offers, as students get more proficient in making offers that are fun to receive, students will begin to make, ever increasingly, more interesting and complicated offers, which deepens students’ creativity, writing, and storytelling capacity. One way to practice giving and receiving offers is with the activity called Zip, Zap, Zop. In this activity, there is a burst of energy with a clapping gesture, and/then one hand pointing somewhere at the end of the clap. This gesture is linked with the words “zip, zap, zop.” Students stand in a circle and first practice the gesture and then practice saying the words repeated in tempo. As we begin, the first student says “zip” while doing the gesture (and making eye contact) toward another student, who then says “zap” with the clap gesture to another student, who says “zop” with the clap gesture to another student. This continues while students get faster and faster. In this activity, students practice focusing, waiting their turn, eye contact, team building, self-awareness, as well as alliteration and short vowels, all while practicing the rule of giving and receiving offers. There are many possible modifications to this activity. For instance, if students are struggling to use more diverse vocabulary in their writing, this game can be played replacing “zip, zap, zop” with synonyms for words such as “said” (whispered, shouted, announced, etc.) or “happy” (joyous, giddy, gleeful). If students are practicing “tr” blends, the game could be played with “train, tree, try” or any other target sounds. Now, I love this one. In improv, we never say “no” to an idea. If I tell you “I love your sombrero,” you don’t say “I’m not wearing a hat!” In improv, saying “No” may be funny, but it ends the game or the scene. Saying “yes” allows it to continue and build. This is the same with all storytelling, whether we are writing independently or cooperatively. Saying “no” shuts us down. There is a time for critical evaluation, but we tend to bring the inner critic right away and this can squelch creativity and momentum, not to mention create a very limited set of ideas. Can you imagine if every time you offered an idea, everyone’s first response was “Yes!”? How liberating! A great way to introduce and practice not negating is with a game called “Yes, Let’s!” This activity can be played sitting in seats and participating from the waist up or can be done standing and moving throughout the classroom. One person makes an offer such as “Let’s dance,” and the rest of the students say “Yes, let’s,” and begin to dance until someone makes a new offer. Maybe someone else says “Let’s pretend it is pitch black,” “Yes, let’s,” and they start reaching out slowly. “Let’s rub our bellies and pat our heads!” Etc. etc. Because the cognitive process actually includes the body, a learning benefit to this activity is that the game could give students an opportunity to physically experience a variety of classroom content. For instance, if you have just covered westward expansion offers could include: “Let’s pack the wagon!” “Let’s dig for gold” or based on a book (Three Little Pigs): “Let’s build a straw house!” “Let’s huff and puff” or a science unit (Solids, Liquids and Gases): “Let’s move like water,” “Let’s float like a balloon,” and so on. If your students are struggling with retelling, you could play “Yes, let’s” after an interactive read aloud using the events in the story. To scaffold the activity, you could start with your think alouds, which include synthesizing and retelling while reading, and afterwards be the only one (at first) to make the suggestions in “yes, let’s,”then slowly release that role to students as their retelling skills improve. In improv there is no competition within the group. All effort is made to not only accept each other’s’ offers, but to make each offer look good, as though it was what we all had in mind all along. Making a joke about an idea or making someone look funny may get a laugh, but it is never as much fun, clever, or satisfying as keeping the game going. It is natural to want some competition. In improv the competition is with yourself or sometimes the “audience,” but never within the ensemble, who always on the same team. One way for students to practice making each other look good is with a game called Mirrors. Students work in pairs facing each other. One student begins to move, and the other student is to mirror them exactly. As they get better, the objective is to be so in sync than an observer cannot tell who is leading and who is following. When students get really good at this they can begin to seamlessly tradeoff who is the leader without any signals, but just by reading each other’s’ intentions. If students are struggling with making eye contact, taking turns, or both leading and following in partnerships, you may consider playing Mirrors. Or if students are more concerned with making themselves look better than someone else, you may consider playing Mirrors with a few people in a circle instead of just pairs, and have the rest of the class try to guess who the leader is. Some extra benefits to this activity are eye contact, beginning partner work, taking turns, focus, and self-awareness. It can serve as a foundation to negotiating who speaks first in partner talk and paying attention to equal time speaking and listening. A great way to practice this rule is the “Yes, and…” game. It is basic, but has many possible applications. One person makes a statement. The next person says the words “yes, and,” then adds another sentence. Each person actually says “yes, and…” to force agreement and remind them to add something. This can be done in shared writing, to summarize after a read aloud, or to review content. Perhaps you want to help students with linking words in essay writing. You can write the target words (First, in addition, for example, etc.) on cards, and students must now say “Yes, and in addition…”, “Yes, and for example…”. The activities included in this blog, and many other improv activities, not only support the benefits of play for children, but support aspects of CCSS and reading and writing workshop. Improv activities give students the opportunity to practice taking risks, exploring new ideas, flexible thinking, and sharing ideas publicly, all of which are essential in writing. Because much of this work involves imagination and pretending through story, it supports many reading comprehension skills, including envisioning, empathy, retelling and making connections, as well as highlighting elements of genre. Furthermore, improv activities help students with Language Standard 3: practicing effective choices for different contexts, Language Standard 4: using vocabulary in speaking and listening, and all of the Speaking and Listening Standards offering students opportunities (1) for a range of conversations and collaborations; (2) to integrate and evaluate visual and oral information; (3) evaluate the speaker; (4) present information orally; (6) adapt speech to various contexts. The following books were used as resources for this blog and are a great place to look for more ideas, as well as improvencyclopedia.com. Spolin, V. (1986). Theater games for the classroom: A teacher’s handbook. Northwestern University Press. McKnight, K. S., & Scruggs, M. (2008). The Second City guide to improv in the classroom: Using improvisation to teach skills and boost learning. John Wiley & Sons. Lobman, C., & Lundquist, M. (2007). 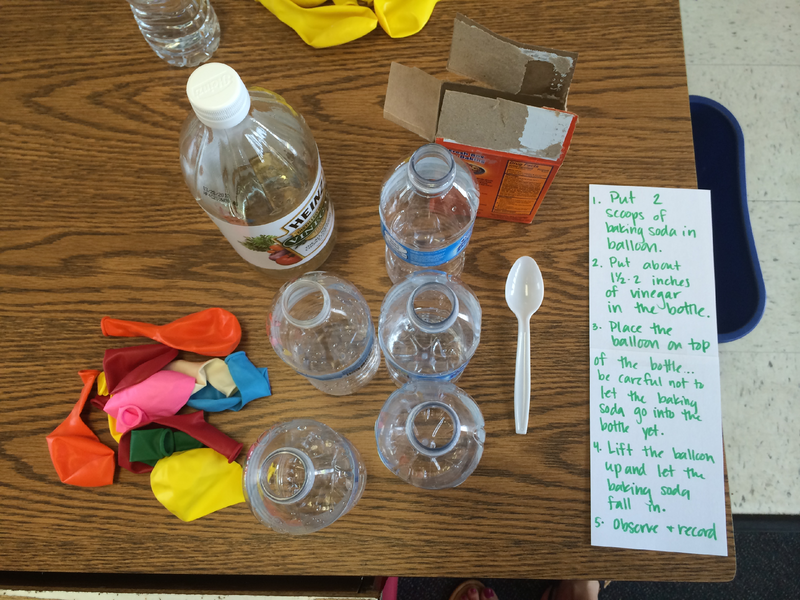 Unscripted learning: Using improv activities across the K-8 curriculum. Teachers College Pr. As a primary teacher, I spent many years assigning research reports to my budding writers. Year after year, I faced the same problems. First, books and articles were simply too challenging for many of the readers to access — making it difficult to pull information from the text. Second, despite all the teaching I had done (and probably some lecturing if I’m being honest), plagiarism would often run like wild fire through their writing. Although very innocent on their part, it was still a problem. This was the writers’ way of dealing with the difficult task of turning new information they had learned into their own words. Lastly, organizing the information into chapters felt like an impossible feat for the little guys. In an effort to provide support, I did what I thought was helpful. I gave them their section headings and even gave them questions to answer in each section. (What a support system I was being!) Little didn’t I know I was assigning tasks rather than teaching, and creating dependency within my writers… not to mention the 30+ research reports that all looked identical in the end. As I shifted into becoming a workshop teacher with a workshop philosophy well in place, I began to see a change in my teaching of informational writing, as well as in my writers! It started with all about books where I allowed my writers to self-select topics based on personal experience (i.e. soccer, Halloween, and dogs — the kind of topics children choose because of familiarity). I taught them how to take the information they already know about a topic and organize it into chapters that would make sense. I also taught them how to write like an informational writer (i.e. by including facts, comparisons, descriptions, and text feature pages). The groundwork for informational writing was laid, and now the research piece could be brought in during a follow-up writing unit. The research and note-taking needed to change in my classroom and it did. To understand how it changed, let’s think about the progression of the research unit as play, learn, write! We need to rethink the way we are bringing research writing into our youngest writers’ worlds… and that can start with play! If we can combine research with play, we can make learning happen organically, thus taking away the difficult task of book/internet research. Most of us believe that our little ones learn through hands on experiences. Hands on experiences that foster play can be created for kids in the classroom so the research is done in that way. With that being said, let’s turn the focus of possible informational writing to science-based topics. You might even go further and zero in on the physical science. We’ve found this content area to provide the highest opportunity for play in the classroom. Independent inquiry (play) stations could be set up around the room. Students could spend time playing with the strategically designed station, while making discoveries along the way. 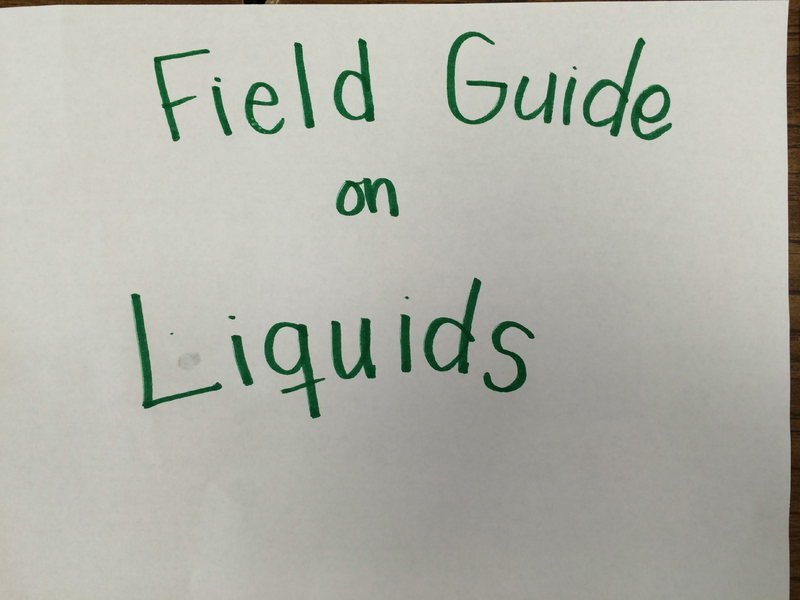 For instance, a class who has chosen to study properties of matter, may have a station set up for solids, liquids and gasses. In the liquid station, there could be samples of liquids to touch and observe. 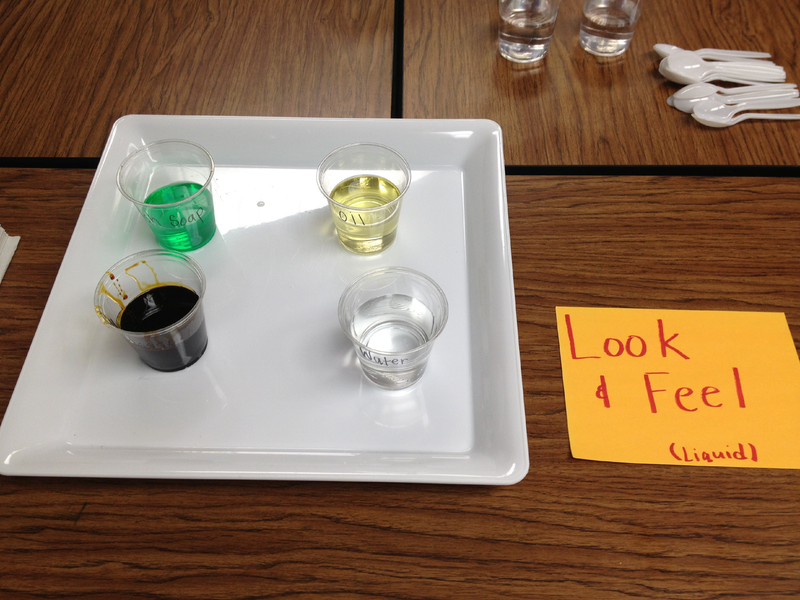 Students could practice combining different liquids together and even pour them down a tray to see them move differently. The possibilities are endless! Students are encouraged to be creative and explore their curiosity while maintaining safety. 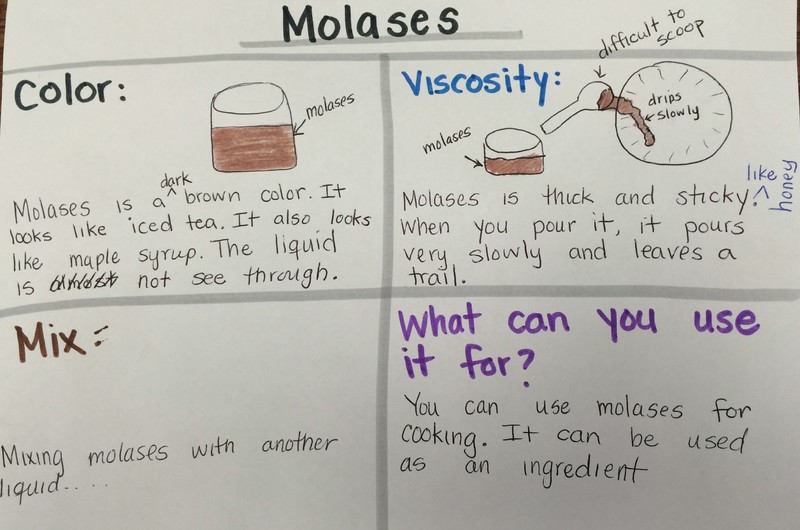 Whole class experiments could also be done with your writers in order to give them more structure or support during their “play” aka research. Don’t be afraid to let them get a little messy during this time because you’ll be guiding them through the scientific process and helping them learn the concepts along the way. The learning so far has been implicit, but happening all the same during the experiences we created for our young writers. But what about the more difficult concepts to teach? And what about all of the academic vocabulary they need to learn? Well, we can contribute to the play with read alouds and digital text to support those things. We can choose engaging informational texts to deliver content, as well as informative videos to show the more difficult concepts and give a visual path to understanding. Imagine dedicating just 10-15 minutes a day to the explicit instruction of the scientific content during the research phase of the unit. By allowing your kids to engage in hands on experiences, learn through read alouds and by watching scientific videos, you’ll be leaning on more than just “book research” to gather information, which is one of the biggest pitfalls for our youngest writers in any research unit. The young writers will also be less likely to plagiarize because they will be gathering information from sources other than books, which makes copying impossible! But how can we see the learning taking place? How do we know it’s happening? And how can they remember it all? We can give them tools for that! 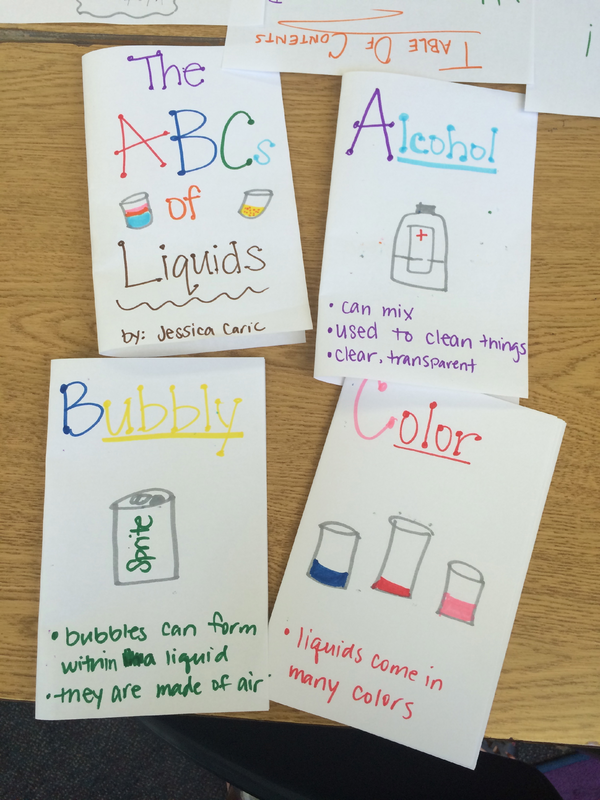 We can give them a science notebook at the beginning of the writing unit for them to record their new learning in. They can use it to take notes during their play, as well as during the read alouds and videos. Not only can this notebook serve a way for the little ones to record their thinking and new ideas, but it can also be an assessment tool for us. The writers will need some support with note-taking strategies, and those can be taught prior to the unit so these muscles are already strong. Note-taking strategies that can support students are sketching and labeling, t-charts, boxes and bullets, before and after sketches, and any other organizational tool you can think of. By providing the students with these note-taking strategies, we can also help to eliminate plagiarism. 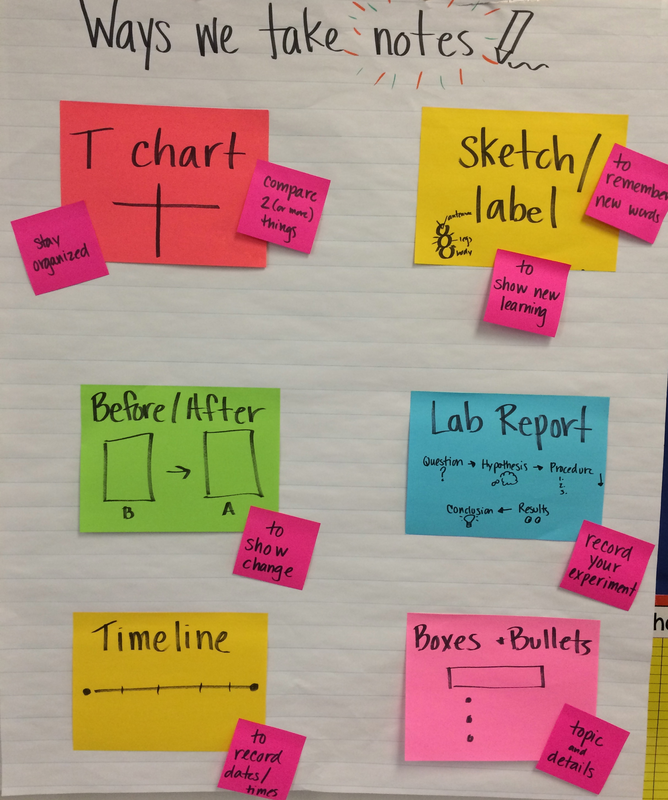 If students can learn how to bullet, paraphrase, and sketch their learning, they won’t copy it! Ready, set… WRITE! The researchers will have a wealth of knowledge by the time the actual writing piece comes in. They have learned all about informational writing in a previous unit and can be encouraged to bring all of those skills into this part. 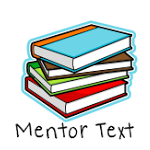 However, we can spark up excitement around the written product by using mentors to give us new structures for the kind of text the kids will be writing. Not all information books are organized the same. A typical structure may include a table of contents, chapters, and fun text feature pages to support the writing, BUT there are so many more possibilities out there! There are alphabet books, field guides, Q & A books, true or false books, and so much more. Giving kids options for publishing can invigorate the writing and allow writers to use their favorite mentors as a guide to their own work. Not only can the writers choose the structure of the text they’d like to publish, but you might even bring in more choice terms from the topic. The students may have studied a large topic, and now they can narrow their topic for their writing. For example, instead of writing a book on properties of matter, one may choose to just write about liquids or changing matter. It’s really up to them! Kids will have learned how to organize their information in the previous all about unit. You’ll want to lean on those same structures for organizing these books. For example, you may have your writers use colored pencils to go through their notes to circle the kinds of information that is similar. You may also consider supporting the organizational part by meeting with small groups of writers who are writing the same kinds of books. You could pull all of your alphabet book kids together and teach them about how information in these books is presented in alphabetic order, then help them plan that part. Research writing can be a challenge for primary writers and frustrating for primary teachers, but it doesn’t have to be. Transform your vision of research reports and get out there and PLAY… LEARN… WRITE! Picture this…a pile of resources, a blank unit planning calendar, lots of page turning, and very little progress in creating a unit. This is how planning a unit of study in writing used to look for me. I told myself, obviously this could not continue! I was wasting so much time trying to figure out where to begin! Sound familiar? Now any time I am planning a new unit or revising a previous unit, I rely on a few patterns that emerged when the unit seemed to build itself: identify mentors, study genre, analyze on-demand writing, and write within the genre myself. Finding mentor texts has been a little less daunting once I heard Matt Glover, author of Projecting Possibilities for Writers: The How, What, and Why of Designing Units of Study, say that it only takes a couple mentor texts to support a unit…there’s no need for a pile of them! So now, I look for 2-3 mentor texts that I can use both before the unit begins, as read alouds to build some foundation for my writers, as well as throughout the unit, as we learn to try similar craft moves as our mentors. In other words, as I’m reading through realistic fiction stories or perusing nonfiction books, I’m not only looking for a text that I envision my students producing, but my first goal is to find a text that my writers will engage with and that I enjoy reading as well. I’m going to be spending a lot of time with this book, from repeated readings to excerpts pulled for minilessons and conferences — I want to make sure it’s a book I like too! Yes, my post-it addiction is something my family is trying to curb! Once I have 2-3 texts I think both my writers and I can get excited about, it’s time to study the genre closely! The first thing I like to do is hunker down with the books and an assortment of Post-it’s.As I read the text closely, I consider the qualities of writing to guide myself in naming the moves the author and/or illustrator is making, and ask myself if I can imagine my writers approximating this writing. Lenses I typically consider are: Meaning (For whom — and why — can we imagine the author wrote the text? ), Structure (How will the structure/parts of the text support our study? ), Focus (How do the parts of the text work together? ), Elaboration (How does the writer help readers envision the story/information? ), Voice (What has the author done to support the way we read the text and with what tone? ), and Conventions. Having these qualities explicitly identified in the text helps understand the genre itself, and also allows me to be more efficient when conferring with writers. For example, I can quickly refer to a part in the text that demonstrates an elaboration strategy that we might try to imitate. Okay, so now I have a clear understanding of the genre, mentor texts, and samples of student writing…sounds like I would have enough information to get my unit off the ground. However, there is one crucial piece of planning that awaits…I need to write! When I write what my students are writing, it helps me anticipate some of the bumps or roadblocks they might encounter. If I struggle to find a topic to write about, it’s possible they might struggle as well. If I’m finding it difficult to structure my piece, I can consider/reconsider the paper my writers have access to that might scaffold the structure of their pieces. On top of helping me identify potential challenges for my writers, writing a few demonstration pieces can also help to set my minilessons up for success. If I’ve already taken a few topics through the whole writing process, I can then peel off layers of the text that I’ll use for specific lessons. This way, ideally I always have an opening in my demonstration texts to model in a minilesson. Identifying mentor texts and noting the craft moves you’ll teach into, analyzing what your writers already know, and writing demonstration texts to anticipate challenges as well prepare for lessons are four steps you might take to support your unit planning. Whether you’re taking on new genres or looking to breathe new life into units you teach each year, having a structure to your planning can help lower anxiety and get you closer to launching! Enjoyed this post on planning units of study in workshop classrooms? Learn more about this topic at our GEMS this Saturday, May 2nd, at Woodcrest Elementary School – REGISTER HERE. In the late 80s, between teasing my spiral perm and watching actual videos on MTV, I spent most of my time reading and reading things that I loved. There are many texts I returned to repeatedly throughout my life—some simply because I was required to (thoughts of a poem my fourth grade class was forced to recite pop into my mind) and others because I loved them and maybe still do love those texts. For me, after finishing my homework and spending time in those “required reading” texts, I immediately opened a book or turned on the TV to return to texts I was passionate about. 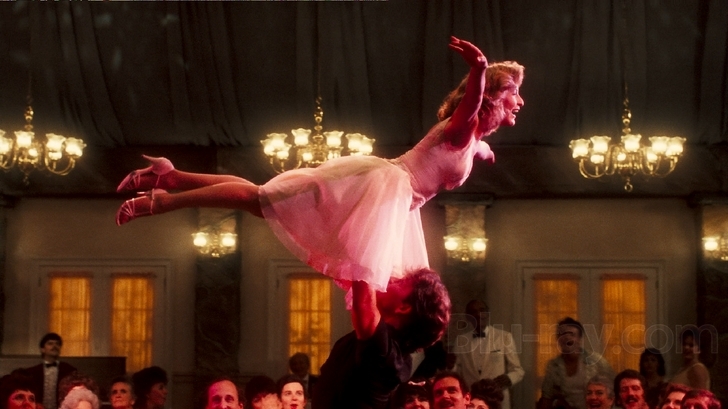 Like, Dirty Dancing. Ok, so maybe I am a little defensive, but believe it or not, I don’t see my 50+ viewings of Dirty Dancing as a waste of time. In fact, I think re-watching, re-listening to, re-reading, and, most of all, re-thinking about, nearly any self-chosen text is one of the most valuable things a reader can do. The return to a text that you don’t care about often means a return to the recitation of the words or a literal retelling of what the text means (think about how many students can recite the Pledge of Allegiance but have no clue what it’s about), but a return to a text you love means being curious–asking questions like, “why did she say that?” or “what did he mean by that?”. We all liked Dirty Dancing from the start because it was scandalous for our conservative-private-school-attending selves (Uh–that isn’t 6 inches between those dancers! Leave room for the Holy Spirit! ), but as I continued on my own to watch and think and talk to others about it, I began to see more in it. Recently, after seeing it was being released for the 25th anniversary of the film (! ), I took a look at IMDB.com and was insulted to see this reductive summary—“ Spending the summer in a holiday camp with her family, Frances “Baby” Houseman falls in love with the camp’s dance instructor Johnny Castle.” My young adult heart screamed. That’s not what this movie is about! What about the class struggles? The coming of age story? Father/daughter relationships? Misunderstandings and good intentions? Don’t you remember Robbie the waiter and his copy of The Fountainhead? It’s a story about people’s fundamental differences in worldviews! You see, the first time I saw Dirty Dancing, it was about two people falling in love. But only after parsing through the film and thinking about each part and its meaning did I begin thinking about what the film was really saying, and perhaps more importantly what I thought about what the film was saying, and perhaps most importantly of all, how differently I thought about things each time I left the text. My ideas were a work in progress. So, what does my obsession with this movie have to do with reading and writing workshop? Here are some takeaways. 1) A few thoughts about choice: Close reading happens more naturally when students are enamored with a text. In my case, the movie didn’t have to be Citizen Kane, and in your students’ case, the text doesn’t have to be Hemingway. A student will more likely see the value in close reading if the text resonates with them from the start, even if he or she doesn’t know why. So even if you begin a unit on close reading with some joint texts or previous read alouds, ask students to return to a text that they think merits a return to. 2) A case for picture books: You probably don’t have enough time to reread a chapter book a dozen times the way I watched a 100 minute movie dozens of times. There are so many picture books that are wonderful to read, re-read, and pick through with a fine toothed comb. What about Duck by Randy Cecil? Sure it’s about a duck who mentors a “real” duck at first glance, but I’d bet you’d return to it again to figure out the symbolism of the scarf or how this reminds you of Eastern philosophies on raising families. Check out short stories too! Tried and true: stories by Sandra Cisneros (A Rice Sandwich), Cynthia Rylant (Slower than the Rest), or Gary Soto. 3) Give them lenses to look through: Close reading strategies begin with retelling clearly, but move quickly to interpretation by using lenses such as word choice, structure, setting, and more. Consult Christopher Lehman’s and Kate Roberts’ Falling in Love with Close Reading for more ideas. 4) A case for digital texts, images, non-print texts, and non-narrative texts: Even quicker than a re-read is a re-look or a re-watch. Watch a video. A simple commercial. You can use different lenses to analyze these texts—how is the artist/director etc using color to convey meaning? Body language? Objects? Music? Video, images or other image-heavy texts are quick and more accessible for some students, but can be used to really help students see how looking closer at texts can yield so much rich thinking. Or how many of us really show our students the value of a re-read in science, math, social studies or other content area? Primary sources are terrific fodder for close readings. 5) The Life Work of Close Reading: I believe that we are most moved when we feel we know something well and have lived with it for a while. When we embrace a text so deeply, we will explore different thoughts, challenge old thoughts and confirm others; we will notice that messages are not always conveyed in broad strokes and large banners but in the subtle, nuanced decisions authors and artists make. And so we hope that students will begin to notice that they convey meaning in every decision they make. And watch Dirty Dancing again. And again. And again.